My friends liZ and Elizabeth have a new book – The Simple Simon Guide to Patchwork Quilting – and it is stunning! If you know their blog, Simple Simon and Company, their book is a great companion in their signature style with beautifully styled photos and cheery, modern fabrics throughout. liZ and Elizabeth sew all sorts of things, so it’s fun to see the quilt blocks used in a variety of projects, beyond quilts! If you’ve not dabbled in 3D sewing at all, there are some great little projects that would be the perfect transition for you. In the book they focus on seven different quilt blocks, and put them into pillows, doll quilts, a banner, apron and more! My favorite is the Nine-Patch Fabric Basket – I know I can always use more storage around the house, and this is a fun way to sneak in some favorite prints too! I also really liked how they gave a new spin on some very classic quilt blocks. The Flying Geese in this quilt are large and set in a great formation. It’s the perfect mix of tradition and modern! A super sized Churn Dash block is a fun throw quilt, without too much piecing. A great way to show off that large scale print that you love, but can’t bear to put on the back of a quilt! Also featured in the book are log cabin blocks, half-square triangles, rail fence, nine patch and the Ohio star. Be sure to follow liZ and Elizabeth to see what they are working on next! To enter to win a copy of The Simple Simon Guide to Patchwork Quilt, please leave a comment below, telling me about your favorite quilt block to make. I’ll select a winner on Monday, June 20th – good luck! 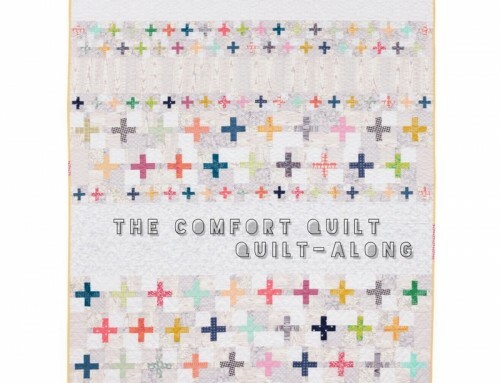 I have a friend who is a beginning quilter, this book looks perfect for her! I love to make any type of Star block. I love the oversized blocks – a fresh take on a traditional piece! This looks like a great book. I like the Flying Geese quilt. I enjoy making star blocks. My favorite block is pinwheels, but then there are so many I have not made yet! 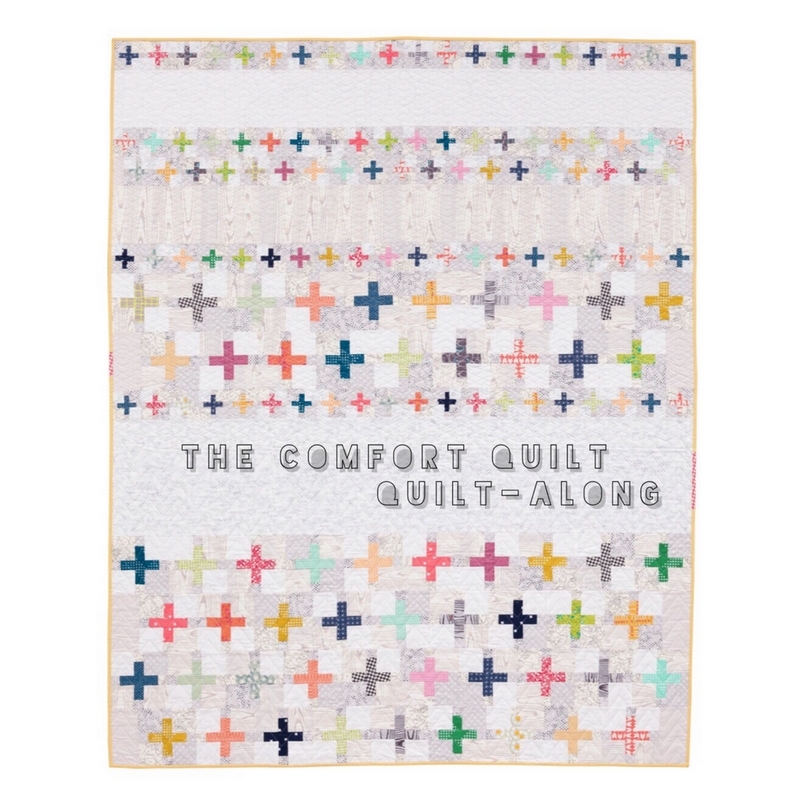 I favor the 9-Patch for its versatility and love the 9-patch and squares quilt featured in their book. I love making Friendship Star blocks. They are so easy but look like a complicated block when you are done. I love liZ and Elizabeth’s work, too! This looks like a great book to have on my shelf! I especially like that it focuses on 7 basic blocks and offers a variety of projects to make with them. My favorite block is a scrappy pinwheel. It’s just whimsical and fun and takes on so many different looks using coordinated scraps. my favorite quilt block is currently the log cabin block. However, from following this blog tour I am now intrigued with trying the flying geese quilt and I like the big churn dash as well. I am fairly new to quilting, so I haven’t ventured into blocks. So far HST are my favorite. Would love to see this book in person. I love pinwheels, but I also just made a load of wonky stars for a gift and it was fun to not worry so much about precision! The Churn Dash, would love to win and make the large Churn Dash! My favorite quilt block is usually the one I am presently sewing which happens to be a postage stamp right now and tomorrow it will be some paper piecing. My favorite block is a double friendship star. Book looks great! I love cathedral quilts. They are so lovely. ALWAYS LOVED THE “PINWHEEL BLOCK” ! THANK YOU! I always like a wonky star block. I never tired it. They can be any size and a great way to use scraps! I seem to have a thing for churn dash blocks. There are so many variations I want to make. Thanks for a great giveaway. Favorite Block is definitely the Half Square Trianle! Soooo versitile!! And last year, during a QAL making Churn Dash blocks…I became “addicted’ to them! giggle…. What a neat book…thanks for sharing the giveaway! My favorite block to make is the log cabin.. I like making the pinwheel! I am a beginning quilter and could really use the book. So far a patch quilt is my favorite block. I like the modern churn dash block that is made oversized. I made a churn dash quilt for a wedding gift in the late 1980’s and the more I see this block, the more I plan to make another just for me! Goodness, have I really been quilting for 30 years?? Yikes, that’s a long time. Anyway, thanks for the giveaway!! Fairly new quilter, like to do star quilts. Would love to have this book. my favorite block is the log cabin! Thank you! I love the Pinwheel block, so simple and yet stunning! I love Granny Squares and Log Cabins. They are my favorites. I haven’t a favourite as I haven’t started yet but I really want to make a hexagon quilt with big plain bright hexagons and a black border probably. I love Sawtooth Star. And I love the look of this book. Thanks for the chance to win! I love stars, stars, and more stars. I don’t know that it’s necessarily my favorite block to make. There are numerous different block designs for stars making it difficult to become bored with making stars if I try different patterns. This book looks amazing. I went through a horrible depression after my husband died and haven’t touched my sewing machine in about 3 years. Then I went from a solitary, lonely live to a jumping house. My son moved home to live with me because he needed a home last fall. Then I hit the wall with a devastating depression at the end of February. Thankfully my primary care physician realized that my body was not making something I need and got me on a new medication which has made a huge difference for the better in my life. Then immediately there was another change. My granddaughter who is almost three now came to live with us. My son began the process of trying to gain permanent custody of her. It’s been quite an experience when you haven’t been with the child teaching rules and even speech and grammar patterns since birth. Having to help her unlearn improper things is very frustrating. For the summer, we also have his 10 years old son. So, you see why I say the house is alive – with the sound of children. I sent my sewing machine to the hospital and I told my son as soon as it comes home, I have to find time to create. He immediately agreed and he wants to refinish his toy box for his daughter. This book may be just the inspiration I need to get my machine purring again. I’m in love with the teasers I saw. Someone will be really blessed with the book. Thanks for hosting the giveaway. I love the log cabin block. This book looks nice. Thanks. I like star blocks and especially the friendship star block. Thanks for the great giveaway! I love the Flying Geese quilts! I once made a quilt called Snowballs in Ohio, using the Ohio Star and Snowball blocks. It was a fun quilt to make — and the combination of blocks was stunning. I really like the Pine Tree block, as I know it. With the use of color it can become any kind of tree. My quilting group made a quilt to hang in our new library and we made it with blocks that related to the area. Since we have so many what we call loplobby pines that was the block I made. I love star blocks – Ohio star, hunters star, lemoyne star – love them all! I consider myself a beginner quilter. Since I am so new to quilting I would have to say my favorite quilt to make is a strip quilt. I know that is not a block but hopefully winning Simple Simons Guide To Patchwork Quilting will help me learn more blocks so I can eventually have a favorite!